Chose Postal Use or Private Use. If the U.S. Postal Service is picking up out going mail from the box you need Postal Use. If you are removing the contents yourself then it is Private use and you must chose “Private use” in the box below. 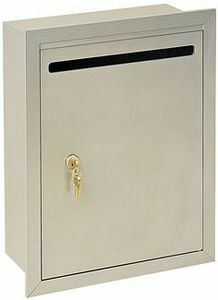 If you need to order a private lock later it will cost you $35.00 instead of the 22.00 now.